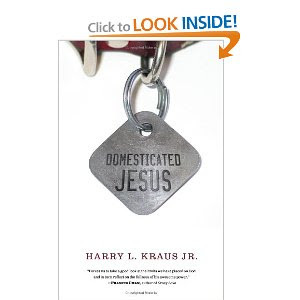 Domesticated Jesus, by Harry L. Kraus Jr. When I saw the newly released title from P&R Publishing called Domesticated Jesus I knew this was a title I would want to read and talk about during the Chronicles of Narnia Reading Challenge. What is the basic premise of this book? That Christians today have stuffed God into their own personal boxes, essentially domesticating Him, making Him smaller than He really is. We have made God into something we think we can tolerate, and certainly someone we can approve of. We like our God to have pat answers and dole out spoons full of sugar. How many times have you heard the statement from people that "[My] God would never do _______" (insert something scary or potentially "bad" to complete the sentence.) We don't understand Him and so we simplify Him, hoping to get our minds around the greatness of God. In this we fail. Kraus writes this book to cause Christians to realize that you cannot make small the Creator of the Universe. He is so much more than we "let" Him be in our world. Kraus addresses the sinful behaviors and attitudes that we engage with in trying to tame God. Kraus speaks of pride, distrust, complacency and addictions that would drive us either to ourselves or to other sources for salvation. Again, we are afraid of God being something bigger than what our human minds can understand. We are born with a sinful nature that wants to know more than God, which makes us no better than Adam and Eve (even though we like to think that were WE the ones in the garden of Eden, we would have never plucked from the tree of the knowledge of good and evil.) We believe in our innate goodness, although we have none. 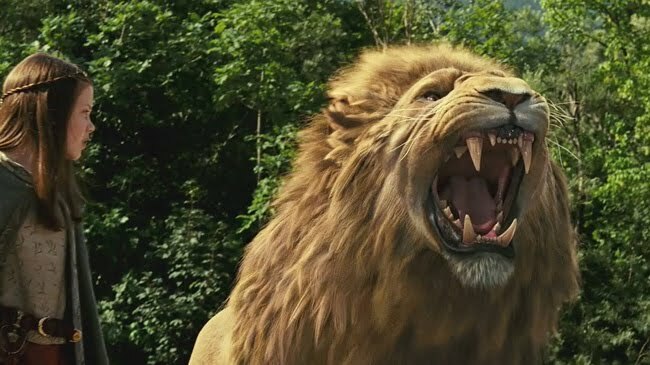 The characters in The Chronicles of Narnia frequently reference the fact that Aslan is not a tame lion. Not tame, but good. 3. Why He doesn't do what I say that He should do. Part of my goal in making an annual pilgrimage to Narnia is to remind myself how big God is. I need the constant reminder, as does Harry L. Kraus, Jr. (He admits it.) Every year I learn a little more but the more that I learn, the bigger God becomes. He cannot be confined. Furthermore, He will not be confined. He doesn't fit inside my pocket. He is holy, divine, kind, loving, gracious and merciful, a holy terror, a miraculous wonder, brilliant beyond imagination, and sovereign over all. He does not owe me answers yet He calls me to Him to learn His ways. He is holy and therefore without sin. He does not make mistakes. He will deal with sin. He roars loudly and controls the wind and storms. He has birthed mountains and hung the stars in the sky. Who is like unto Him? Not I. Not I. Yet for all of this, He allows us to approach Him. That is something that should fill us with awe and wonderment. He will not be contained. But we can know Him for who He really is. The call of Kraus's book isn't to give us permission to create gods in our own image. It is to know the God who IS for Who and What He is. Not what we think. But what is true. That is also what Lewis does with the Narnia books. He reveals truths to us so that we can know the greatness, the wildness, if you will, of God. Kraus calls us to lay down wimpy Christianity with a feel-good message attached. Instead Kraus challenges you to hear the Word of the Lord and believe. The power of the Gospel is so much more effective than our own imaginations and the sighs of a sinful heart. Definitely, I recommend Domesticated Jesus for anyone who needs a good shock to the system. And I recommend The Chronicles of Narnia for the truth that it offers that God is not tame that we could know Him. Rather, He invites us to celebrate the wild glory that belongs to Him. Ooo...That sounds very good. (Domesticated Jesus, that is.) I might have to give it a look-see! He's not a tame lion. No, but he is good. I'm always relieved when I am reminded that I serve my LORD, he is not my cosmic bellhop, He knows what's best for me. Even though I often wonder how the trials in my life can bring me any good I understand that He works everything together for my good. Domesticated Jesus sounds like an interesting read, thanks for writing it up! You seem to always write thought provoking posts, and this one is no exception. I am going to keep this post in mind while I read through The Voyage of the Dawn Treader with my daughter. I just got this in the mail as a surprise from a friend! When I first started writing this and I told my wife the title, she immediately responded, "I don't like it." But in effect, I go about my life acting as if the mighty God I serve is small. So you see, I'm just writing what I need to read! Yes. It was when I started wanting to know God as God is, to know how He thinks, when I started asking God how He wanted me to use my day, to open my eyes to how He saw people in my life, to ask how I was offending Him (and others) that my life changed.